Traditionally, ASC Diaraf is one of the most powerful clubs in Senegal. 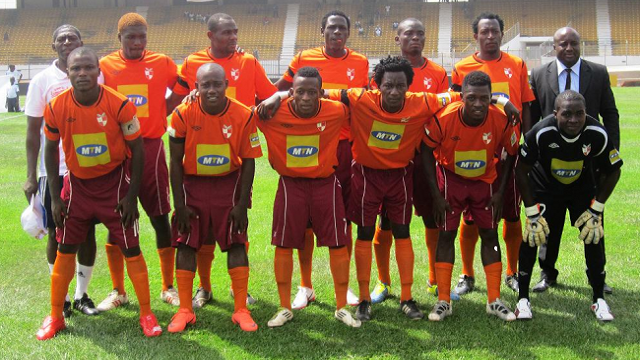 The Dakar-based club, also known as “ASC Jaraaf”, has won the Senegalese championship 11 times. ASC Diaraf had a rather disappointing 2013-season, finishing at fourth place, six points behind winners Diambars. * Another interesting player at ASC Diaraf is midfielder Alioune Badara Tendeng. Tendeng is a product of Zig-Inter FC, traditionally the second club in Ziguinchor, behind Casa Sport. Before the Ligue 1 2011-2012, Tendeng was transferred to Casa Sport. The stint at Casa Sport turned out to be a nightmare, as Tendeng was kept in the cold throughout the season, eventually being released. Somewhat surprising to me, Tendeng won a contract with ASC Diaraf, a powerhouse in Senegalese football. Tendeng has also featured for the Senegal B national football team. The petit midfielder is s a hard-working player with excellent ball-control. Apparently, Tendeng was also a trialist at US Boulogne in October. * Fidel Gomis, the petit playmaker, is currently part of the Senegal B national football team. On 31.10.2013, Gomis scored for Senegal B during the 2013 UEMOA tournament. Gomis, a former player of ASC Dahra, is a big fan’s favourite. * Babacar Seck is a goalscoring left-back who was ever-present this season, scoring an amazing tally of seven goals in 30 matches. Seck is an attacking minded full-back, also effective as a left-winger. * Idrissa Niang, a 21-year old midfielder who was signed from modest side CSS Richard-Toll, has had a wonderful season, cementing a place in the first eleven. * The towering centre-back Lamine Bara Ndong, who is only 19 years old, has gotten rave reviews. * Please note that attacking midfielder / left-winger Pape Macou Sarr has joined French second level side Angers SCO. The picture was found on galsenfoot.com. Akwa United FC had a difficult season in the Nigeria Professional Football League, finishing as number 16, just one point more than relegated Kwara United FC. In this post, I have made a statistical summary of the -season. The picture, found on thenationonlineng.net, shows Udoh in action. Other players that impressed include John Aguda, team captain and midfield dynamo Ini Akpan, the toiwering defensive midfielder, striker / winger Ubong Ekpai (especially in the first part of the season), right-back and dead-ball specialist Edo Nnamso, centre-back Hamza Ikenna Onwuemenyi, on the radar of bigger clubs in Nigeria, and attacking midfielder / winger Sarafa Usman. Mfon Udoh was the number one goalscorer at the team with 16 goals. Ubong Ekpai scored six goals, while Edo Nnamso and Sarafa Usman scored three each. 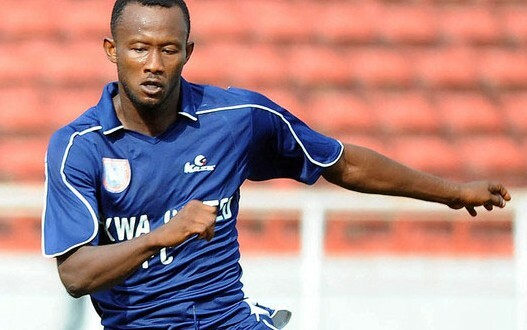 As Mfon Udoh had been a fringe player towards the end of the 2012-season, he was truly a relevation. Other inexperienced players that made a name for themselves include first-choice goalkeeper Femi Kayode, formerly of Akwa Starlets FC, and right-back Uchenna Keke. Perhaps it’s wrong to define Ezekiel Mbah as a “revelation” but the dazzling winger, formerly of Niger Tornadoes FC, was rather unknown before he was picked for the Nigeria B national football team after few matches for Akwa United FC. Mfon Udoh got all the attention, but Davis Ukeme, his hard-working striking partner, should also get credit for a fine season. I also feel that centre-back Hamza Ikenna Onwuemenyi should get more media attention for his consistent, rock-solid performances. 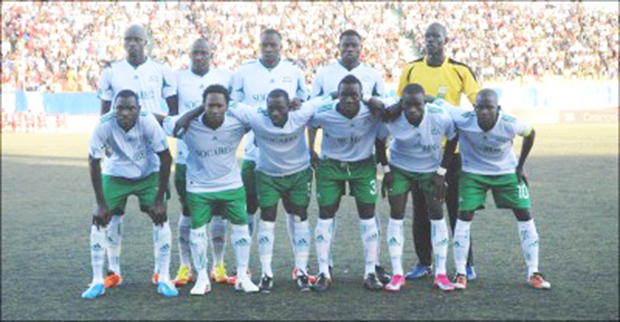 The Senegal B national football team is currently participating in the 2013 UEMOA Tournament, a football tournament held between nations who are a member of the West African Economic and Monetary Union (UEMOA). In this post, I have presented the 20 Senegalese players who takes part in the tournament. 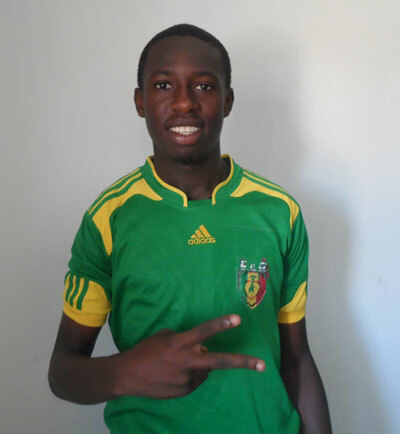 The picture, found on www.dakarsacrecoeur.com, is of talented centre-back Mamadou Mbodj from Senegalese second-level side AS Dakar Sacré-Cœur. Unfortunately, ABS FC suffered relegation from the Nigeria Professional Football League 2013. In this post, I have made a statistical summary of their season. From my point of view, the best player of the season was the 19-year old defensive midfielder Ter’ade Ichull Lordson. Nigerian website www.punchng.com has described Lordson as a “box to box midfielder who patrols the area in front of his back four”. Lordson is also well-known for his impressive work rate and expertice from set-pieces. The picture, found on MTN Football, shows Lordson in action. Playmaker Thomas Zenke also had a great season, often featuring in a rather free role behind the striker(s) – or attacking from the wings. Ter’ade Ichull Lordson became top scorer with seven goals. His goals included five penalties, one free-kick and one tap-in after a goalmouth scramble. Star striker Abdulrahman Bashir, who had a disappointing season, and Thomas Zenke both scored five goals. 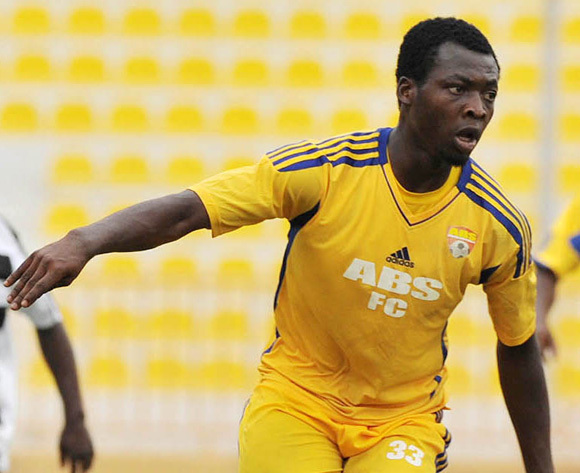 Versatile attacker Otegbeye Ajibola played approximately 25 matches for ABS FC during his first season at top level. Ajibola, formerly of Vela FC and Kwara United FC, was often used as a substitute, causing havoc with his pace and energetic style of play. Tricky winger Ibrahim Abdullahi, known for sublime dribbling skills, is another candidate for this award. Versatile full-back Abubakar Yusuf has been a key player for ABS FC / Bukola Babes FC for at least four season, including 2009-2010 when the club won promotion to the Nigeria Premier League. Other candidates for this award include the workaholic Akeem Onigbari and midfield dynamo Ismaila Suleiman. Traditionally, Africa Sports is one of the biggest clubs in the Ivory Coast. Unfortunately, “Les Aiglons” have been struggling tremendously during the last couple of years. Last season, the club finished at ninth place. Strangely enough, Africa Sports has signed at least five – possibly eight – players from ASI Abengourou – the club that finished at tenth place last season. The most important player in the squad is arguably Abdoul Karim Cissé – one of the finest goalkeepers in the Ivory Coast. 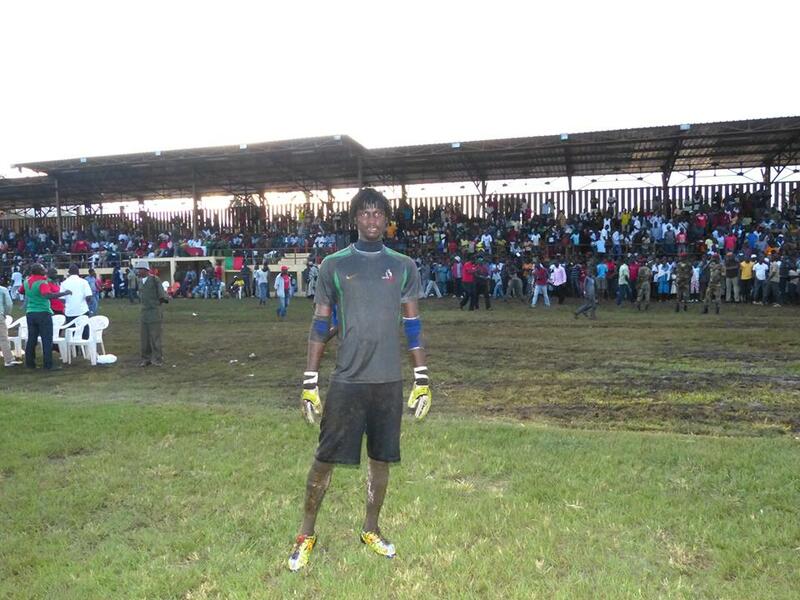 The picture, found on the official Facebook-page of Africa Sports, shows Cissé in front of football fans. In this post, you will find a statistical presentation of the 18 players who was part of the matchday squad when Africa Sports played against AFAD Djékanou on 19.10.2013. Africa Sports managed a goalless draw, not a bad start to the season. Serge Kouakou – most likely the left-winger from ASI Abengourou, born 02.02.1989. Kouakou played for Africa Sports in 2011 and 2012. Further, Africa Sports has apparently signed a Nigerian striker called “Jacob”. After 23 matches of the MTN Elite One 2013, Renaissance FC de Ngoumou is placed at tenth place, in real danger of suffering relegation. Personally, I hope the modest club, playing their home matches in Yaoundé, will maintain their top level status – primarily because of the club’s faith in young, talented footballers. The experienced Alphonse Effa Nsoé is first choice goalkeeper, commanding a defence consisting of left-back Paul Désiré Yede Yede, centre-back Charles Lobe Lembe, formerly of Matelots de Douala and Unisport FC, centre-back Robert Ntolla Nguena, formerly of Canon de Yaoundé, and right-back Nicolas Joël Owono Mbassegue. As far as I know, Yede Yede, also effective as a defensive midfielder, is the captain of the team. Veteran Ntolla Nguena has also been captaining the side in certain matches. Owono Mbassegue is a talented full-back who played regularly for the Cameroon U-20 national football team in 2012. Gerard Bayegue Atangana, born in 1992 or 1993, is a key player in the defensive midfield role. Bayegue Atangana, who can also play centre-back, is a hard-working player with good ball-winning ability and aerial strenght. Bayegue Atangana has played more than 20 matches this season. Arsene Elisée Ndjengue is an interesting newcomer at the club. The defensive midfielder, a physical player who tackles hard and wins a lot of balls, has experience from Al-Ahly Tripoli (Libya) and OC Khouribga (Morocco). Ndjengue was recently picked for the Cameroon B national football team. Ludovic Ndzie is an interesting prospect, often found in an attacking midfield role. Ndzie has played for the Cameroon B national football team and has also been training with Cameroon U-20 during the season. Lanky striker Christian Fack Bayokolack, formerly of Canon de Yaoundé, is a player with potential. However, Bayokolack has been overshadowed by top scorer Gaël Landry Mfou’ou. During the season, Mfou’ou has been training with the Cameroon U-20 national football team. Landry Nguene, a talented striker, was part of the Cameroon U-20 national football team for the 2013 Jeux de la Francophonie. Simon Pierre Ambella has been one of the revelations of the season. The striker, who was completely unknown to me before the season, has scored three goals in approximately 15 matches. 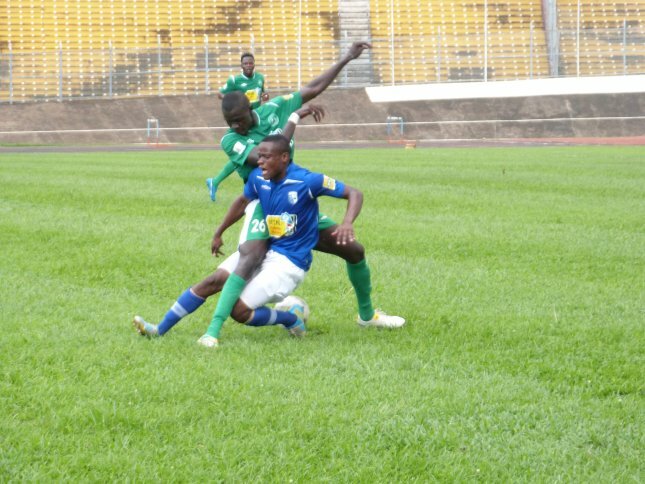 The picture, found on www.237sports.com, shows Ambella (in blue), fighting against tough centre-back Bouba Aminou of Cotonsport FC. As far as I know, Patrick Anaba Metogo, the 19-year old striker who is playing regularly for the Cameroon U-20 national football team, has recently joined Astres de Douala. * Please note that the goalscorer of Renaissance FC against Fovu Club on 18.08.2013 is currently unknown. The Njalla Quan Sport Academy of LImbé is currently number six in the Cameroonian MTN Elite One 2013. Unfortunately, it is currently difficult to follow Cameroonian football and I can only document goalscorers for 12 of the 25 goals scored by the club. However, the club has some very interesting players in their squad and in this post, I will present some of them. From my point of view, 19 year-old striker Robert Ndip Tambe and 19-year old attacker Joseph Yanki are the two most interesting players in the squad. Both Tambe and Yanki were part of the Cameroon U-20 national football team for the 2013 Jeux de la Francophonie 2013. I can document that Tambe has scored two goals, and Yanki one goal, so far this season but it seems highly likely that they have scored a couple of the 13 “missing” goals. Yanki has also been part the Cameroon B national football team. Martial Meyangue, 19 or 20 years old, is the first choice goalkeeper at the club. Meyangue is highly regarded and should have the potential for bigger clubs. Gerome Heutchou Kuilong is an interesting defender. Heutchou Kuilong was signed from second level side Matelots de Douala before the season. After few top level matches, Heutchou Kuilong was picked for the Cameroon B national football team. I have also read good reports about centre-back Denis Ngweni Ndasi. Ronald Lakem Lane is a key player at the midfield. Lane was one of the players who played for Njalla Quan Sports Academy when the team won promotion, back in 2010-2011. The club is missing playmaker Medrano Tamen (born 29.03.1986). The skilful midfielder, who starred for Sunshine Stars FC during the Nigeria Premier League 2012, made a surprise move to Njalla Quan Sports Academy in February 2013. Apparently, Tamen had failed to secure a professional contract abroad. After a couple of months at the club, Tamen re-joined Sunshine Stars FC during the summer. The picture was found on lions4life.com. * Joseph Gordon of Medeama SC is an exciting prospect at Medeama SC, primarily because the 19-year old is a highly technical players with good vision, shooting, passing, crossing and dribbling ability. Gordon is a dead-ball specialist, known for dangerous free-kicks and corner-kicks. Gordon is an attacking midfielder, but can basically play in any midfield position, also in a “free role” and as a regular winger. In 2010, Gordon was part of the Ghana U-17 national football team. In 2012, Gordon featured for the Ghana U-20 national football team. In September 2013, Gordon won the “MVP-award” for the 2012-2013 FA Cup by, implying that he was the best player of the most important cup tournament in Ghana. The picture of Gordon was found on medeamasc.com. The following video shows some of his qualiites: http://www.youtube.com/watch?v=-PpQoE7cls0. * Inter Allies FC has lost all their six matches during the GLO Premier League 2013-2014 but youngster Prosper Kassim, apparently 16 years old, has showed that he could have a bright future in Ghanaian football. Kassim, who was part of the Ghana U-17 national football team in 2012, has already scored two goals in his first ever season at top level. Kassim was an important member of the Inter Allies team that won promotion to the GLO Premier League. On 01.06.2013, Kassim scored a hat-trick during the first day of promotion play-off matches. In September 2013, Kassim trained with Vancouver Whitecaps FC, the Canadian professional football team. 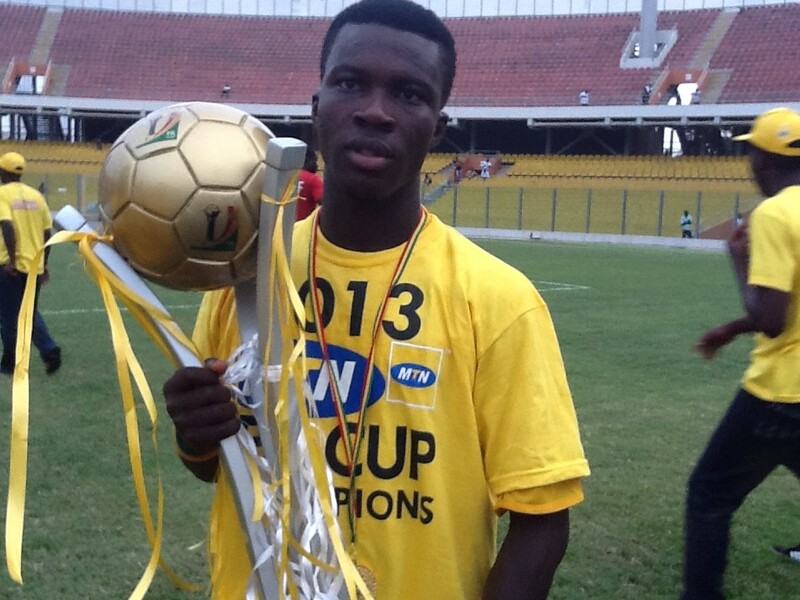 * In June 2012, Joshua Oninku of Tema Youth FC won the 2012 Ghana Premier League Most Promising Player-award. After another good season, despite Tema Youth FC suffered relegation, Oninku joined Ebusua Dwarfs. At Dwarfs, Oninku has been playing at right-back, as a direct replacement for Chistopher Bonney who joined Asante Kotoko FC. Oninku can also play at left-back. Oninku is skillful, powerful and an attacking weapon. He is also a solid defender, although he is somewhat petit. Oninku has been described as a player with “deft touches and accurate passing abilities”. Unfortunately, there seems to be some confusion regarding the age of Oninku. A player from Tema called “Joshua Oninku” has a profile on MyBestPlay, stating that he is born on 05.08.1990. According to Transfermarkt, Oninku is born 06.01.1993. According to squad lists from a youth tournament I have gotten through contacts, Oninku is born 13.12.1996. According to MTN Football, Oninku was only 16 years old per June 2012. In any case, Oninku is definitely a player to watch. * When his mood is right, Joseph Ato Bissah is one of the most entertaining players in the GLO Premier League. The versatile attacker, often found on the left-wing or in an attacking midfield role, has the technical skill to beat any full-back. Bissah is also pacy and surprisingly strong for his height, making him difficult to defend against. Bissah broke through at Sekondi Hasaacas FC and scored at least six goals during the GLO Premier League 2009-2010, most likely seven or eight. Bissah is an expert from set-pieces and should chip in with a couple of goals for AshantiGold SC, his new club. Bissah is also known for his rather unsuccessful stint in Spanish football. 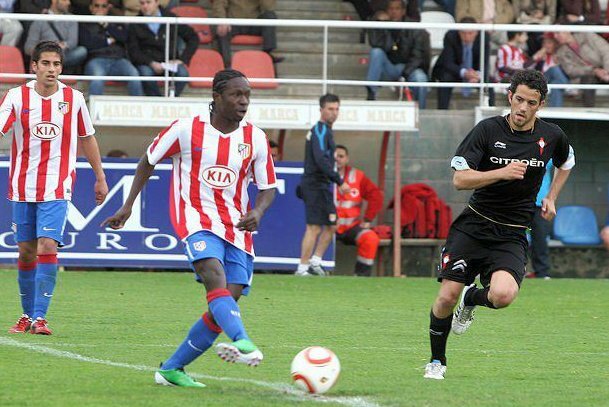 The picture, found on Ghanasoccernet, shows Bissah in the shirt of Atlètico de Madrid B. A lot of sources on the Internet will state that Bissah is born 26.07.1990. However, it is a fact that the Ghana Football Association registered Bissah with the birthdate 26.07.1988 before the GLO Premier League 2008-2009. * Ivorian striker Landry Arnaud Bosson has done well since joining Berekum Chelsea FC and Ghanaian football. The 26-year old striker, known for pace and power, was mostly referred to as “Mihan Bosson” while playing in the Ivory Coast. His full name is apparently “Mihan Kouadio Landry Arnaud Bosson”. * Burly striker Bismark Idan needs to get his career back on track after two seasons to forget. Idan was highly impressive during the GLO Premier League 2009-2010 and 2010-2011, showing what a clinical finisher he can be. Idan has the power and strenght to penetrate any defence. Combined with a healthy work-rate, Idan has the potential to play in bigger leagues. Hopefully, he will get his confidence back at New Edubiase United FC. Unfortunately, his new club is struggling and Idan has been rather quiet during his first few games. * Personally, I think it is wonderful that experienced players like Samuel Yeboah returns to Ghanaian football. The pacy attacker, who has scored 50 goals in the Israeli top division, is a full international player for Ghana who should become a key player at Heart of Lions FC. Yeboah scored his first goal of the season on 06.10.2013 against Ebusua Dwarfs.